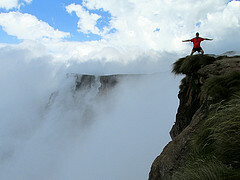 Inspired by Chris Bonnington’s Quest for Adventure, a regular Canadian kid became an Adventurer. His greatest claim to fame (or greatest sufferfest) was what he called The Grande Cirque — the first circumnavigation of British Columbia’s southern Coast Range. His best destination so far — the Mergui Archipelago of Burma, off-limits to everyone for the past 50 years. Rockin’ Ronnie Shewchuk’s second cookbook is available from Amazon.com and will hit Canadian bookshops soon. Everything you could possibly want to know about the art of grilling on a plank. The self-proclaimed BBQ evangelist just launched his 10th year as a grilling and barbecue instructor. His competition barbecue team had their best finish ever at the Jack Daniels World Championships in October. Details on his books, newsletter, podcasts and upcoming events are on Rockin’s Barbecue Secrets blog. Lonely Planet guidebooks revolutionized travel & reinvented the guidebook genre in the same way that Cirque du Soleil reinvented the circus. Starting on a kitchen table in 1972, the Australian company grew quickly to dominate the industry overcoming many long-established competitors. What did Lonely Planet do right? Lonely Planet holds people to account. If vendors cheat or misrepresent to travellers, they do so at their peril. In some cases businesses close after LP gives a bad review or even drops a listing. Other travel guidebooks were inferior. I recall the horrible Lets Go Europe we carried in 1976. And the stupendously useless Rough Guide China (1st edition) I foolishly did not throw in the dumpster in 1998. Now in a very few regions there are good competitors; the best example being the South American Handbook (now Footprint guides). Thence I was shocked (as you might imagine) to stumble on to Moon Handbooks Baja — a better guidebook than Lonely Planet! Why so? For one thing it is authored by Joe Cummings, the legendary lead writer for Lonely Planet in the early years. When Mick Jagger wanted a guide for his entourage in Thailand, he phoned Joe. I’ve started to browse other travel guidebooks recently and been very pleasantly surprised. They have improved. Most by copying LPs format and style. I may finally (faintly) consider alternative guidebooks in future. P.D. James is a treasure. I think she’s the best classic mystery writer today. You may know her work from BBC TV adapataions of her Adam Dalgleish detective series. 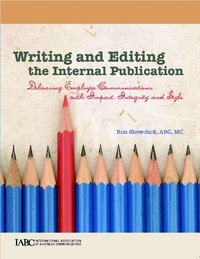 Congratulations to my buddy Ron Shewchuk on the publication of his latest book, Writing and Editing the Internal Publication. He’s posted a new blog in conjunction with the release. Ron has a best selling cookbook still on the shelves and a second cookbook ready for publication. Cookbook details on Ron’s homepage. The highlight of my 4-day trip was snorkeling with sea lions at Los Islotes. They hugged & kissed us. Wow! White sand beach camps, desert canyons adorned with hanging fig trees, snorkelling with tropical fish, towering rock cliffs, sea caves, ringtail cats, leaping manta rays. That’s what I’m talking about. For the full travelogue in 60 annotated photos jump to the permanent webpage in Rick’s travelogue archive. I have read all of Theroux’s travel books & most of his novels. Finally got around to his 1982 novel which was made into a movie starring Harrison Ford. The extreme philosophy of Ford’s character — a man who so hates American life that he moves his family to the jungles of Central America — is still fascinating today. It reminds me of another terrific case study: Elizabeth Gilbert’s biography of Eustace Conway, The Last American Man. Amazon reviews of Mosquito Coast.